When I started planning the trip to West Virginia, the New River Gorge area was the location I was most excited about. 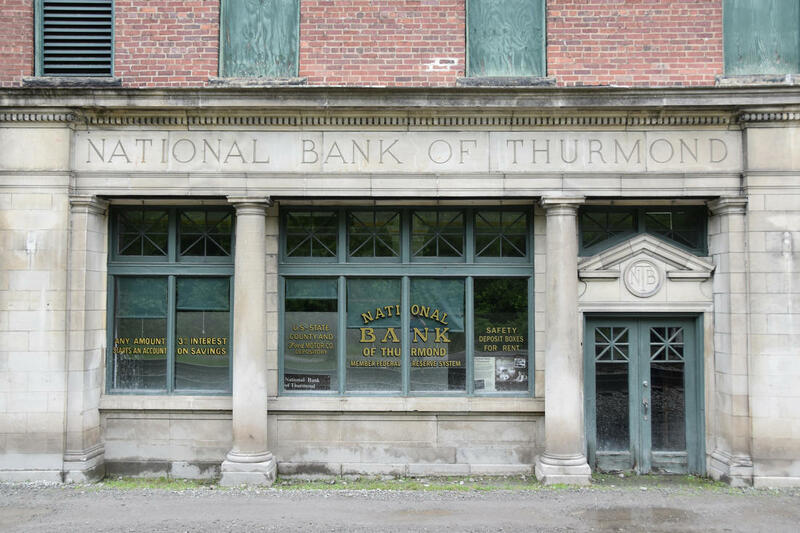 There were coal mining ghost towns - Thurmond and Nuttalburg. There was a cool small town with a good place for breakfast - Fayetteville. 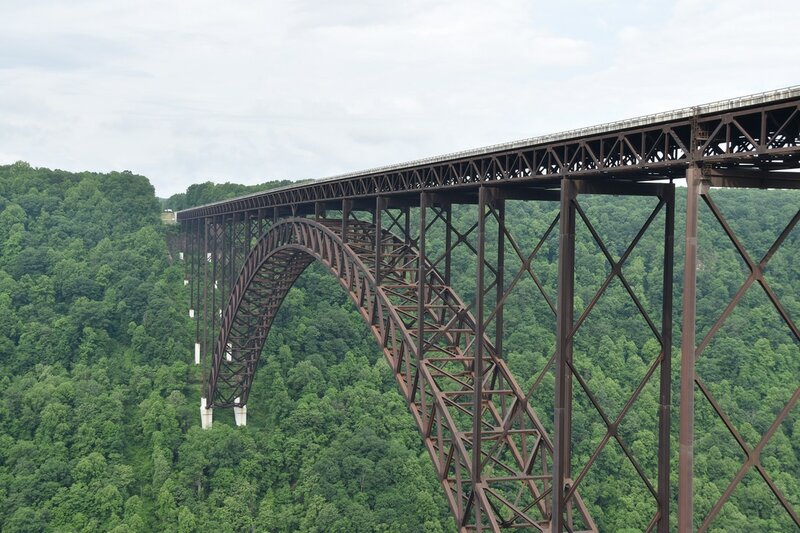 There was an iconic bridge over a deep gorge - the aptly named New River Gorge Bridge. The drives between these sites would take me through West Viriginia small towns and provide a glimpse into local life. The reality of the visit did not match my excitement from planning. 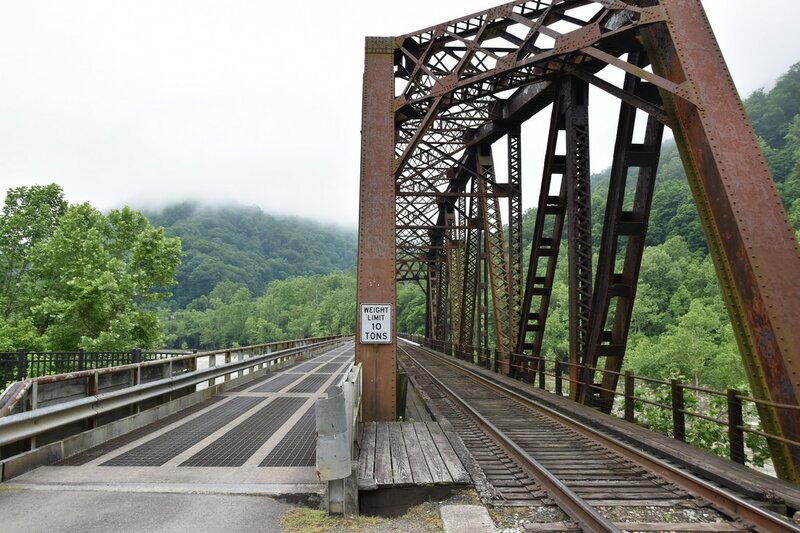 For two reason: first, the previous day's drive along Route 52 / The Coal Heritage Highway was everything I thought the New River Gorge was going to be except better. 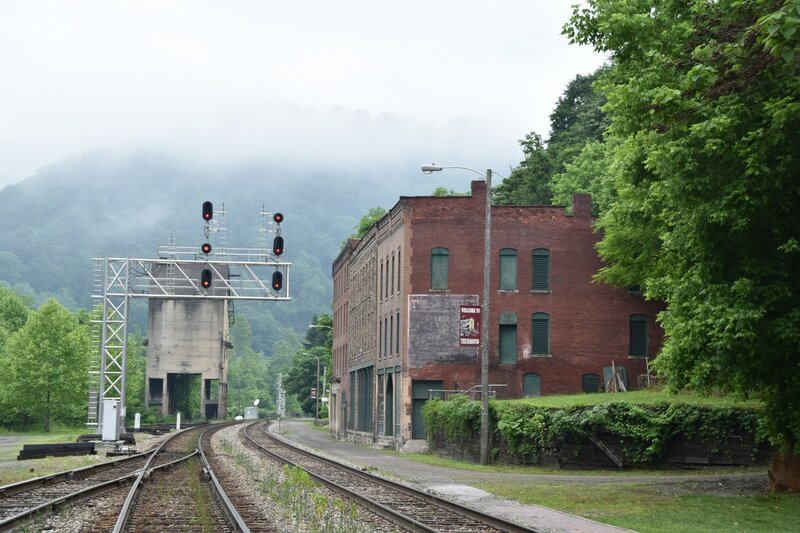 The "ghost" towns of Route 52, Welch, Iaeger, and Matewan, were much better than the abandoned towns of Thurmond and Nuttalburg. Nuttalburg's defining feature is a coal conveyor, however, I saw several of these along Route 52 - the currently operating conveyors are just as impressive. Second, the breakfast place in Fayetteville forgot to place my order and I wound up eating tater tots at a Dunkin Donuts. The only part that lived up to expectations was the New River Gorge Bridge. Thurmond is part of the U.S. National Park Service. 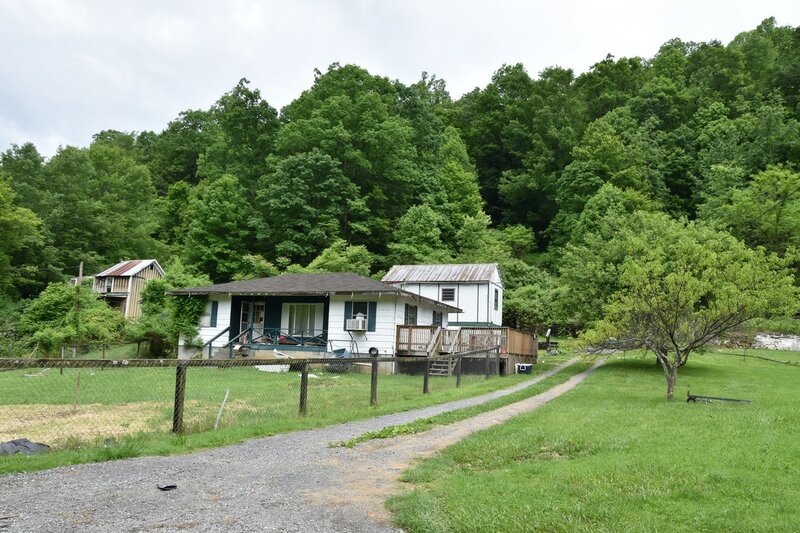 It was formerly a coal town along the banks of the New River. It's since been abandoned, although supposedly five people still live in the area. 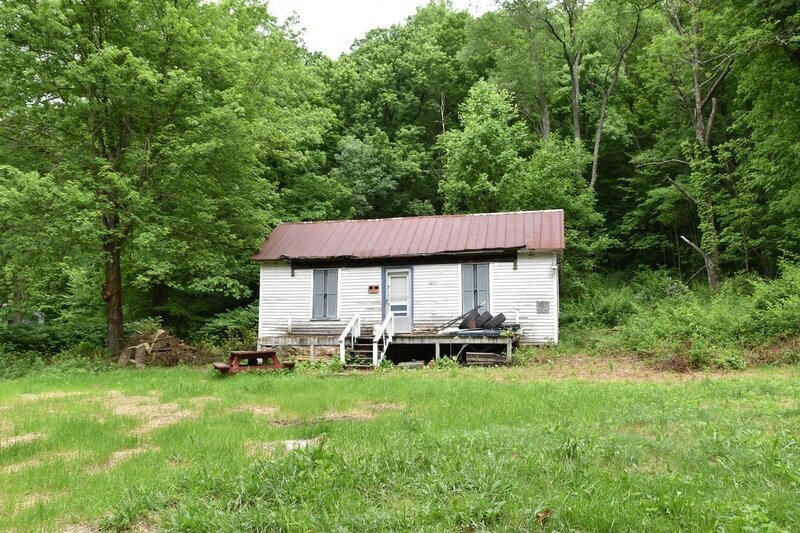 It's an easy drive into Thurmond with a paved road that takes you all the way to the single lane bridge. I arrived early in the morning with the ghost town shrouded in a heavy ghost like fog. 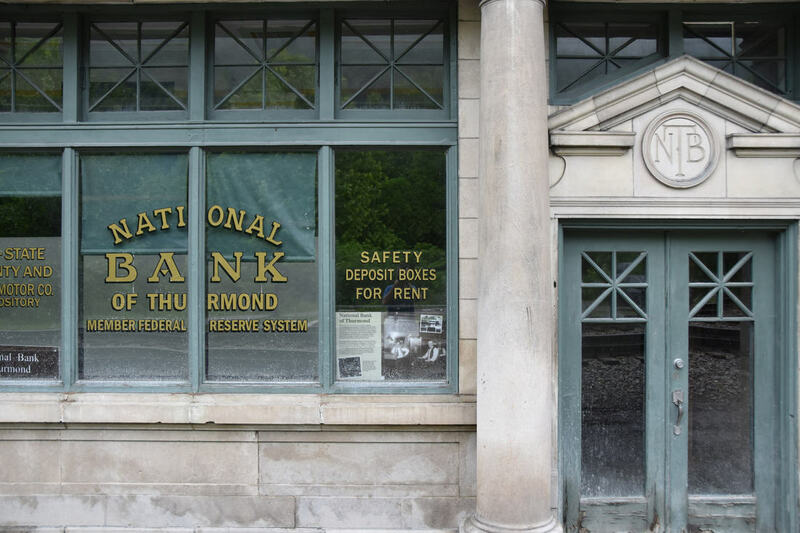 There's not much to Thurmond and the fact that it's part of the U.S. National Park Service kind of takes away from the whole ghost town feel. 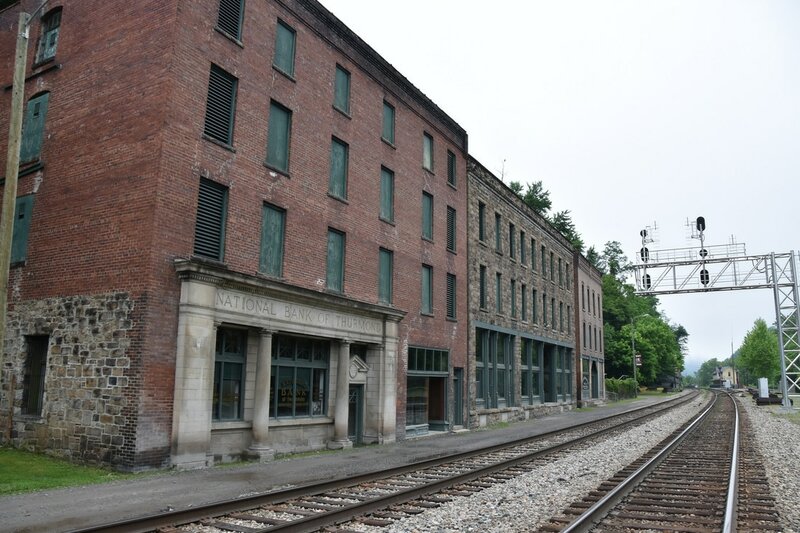 The first building I approached was the former train station - which is still a train station. 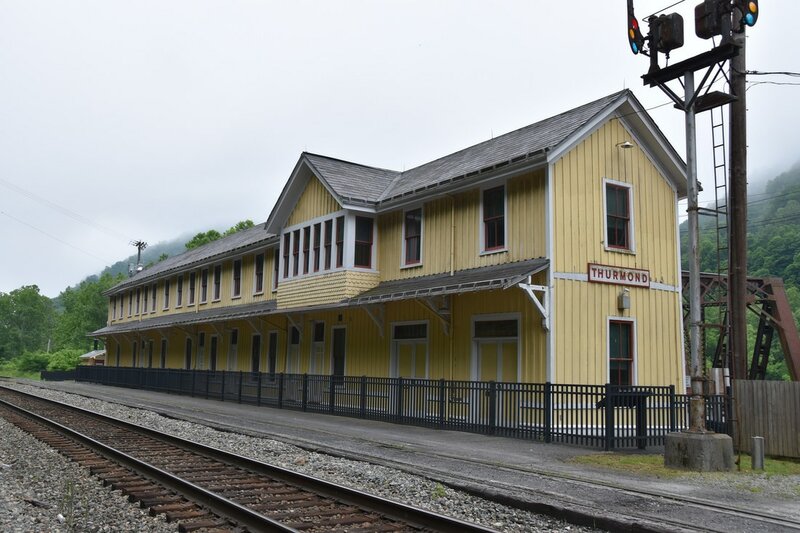 Amtrak provides a tourist train to and from the town. 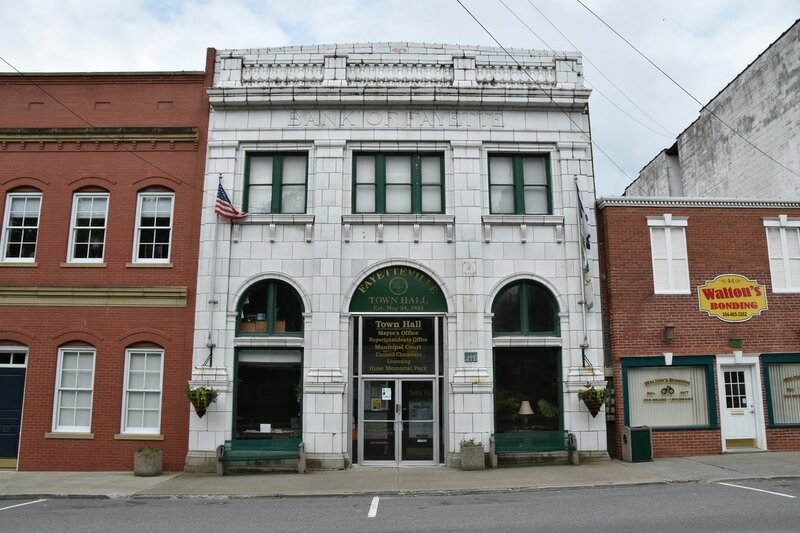 Farther down the tracks is a series of three buildings including a former national bank. The buildings make for some great photo opportunities, you may just need to crop out some modern day train signals. 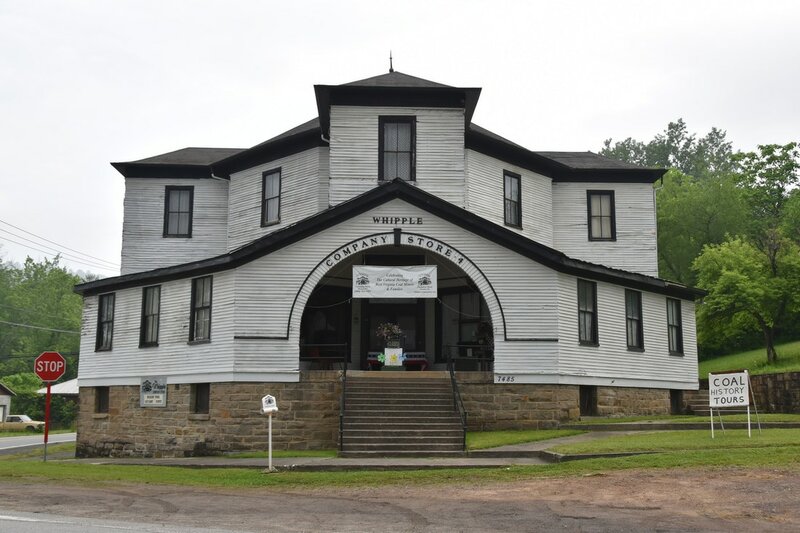 The route from Charleston to Thurmond took me past the Whipple Company Store. 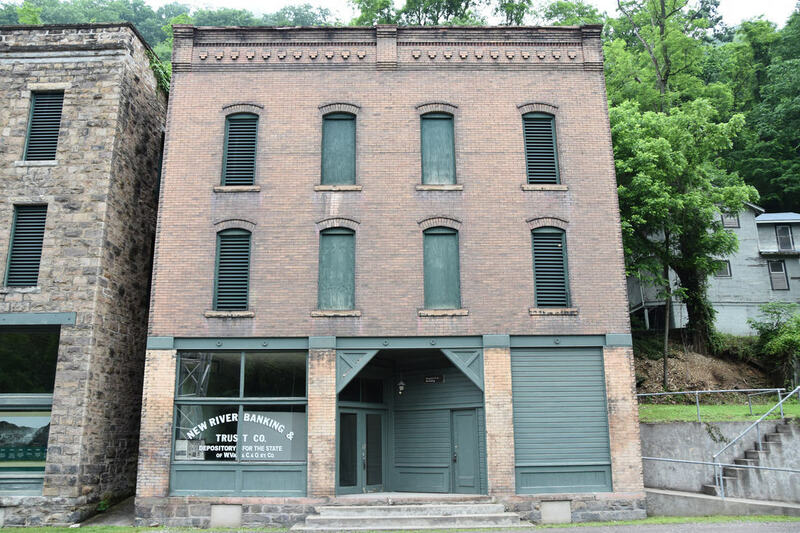 Whipple was one of the last Company Stores in West Virginia, and probably the U.S. when it closed in 1954. Unfortunately it opened at nine. I did not make it all the way to Nuttallburg. The road to Nuttallburg was a single lane, stone road and it wet conditions I did not want to take a chance of something happening to my car. Combined with the fact that I had seen three coal conveyors the prior day and it made sense to turnaround before going to far down the stone road. 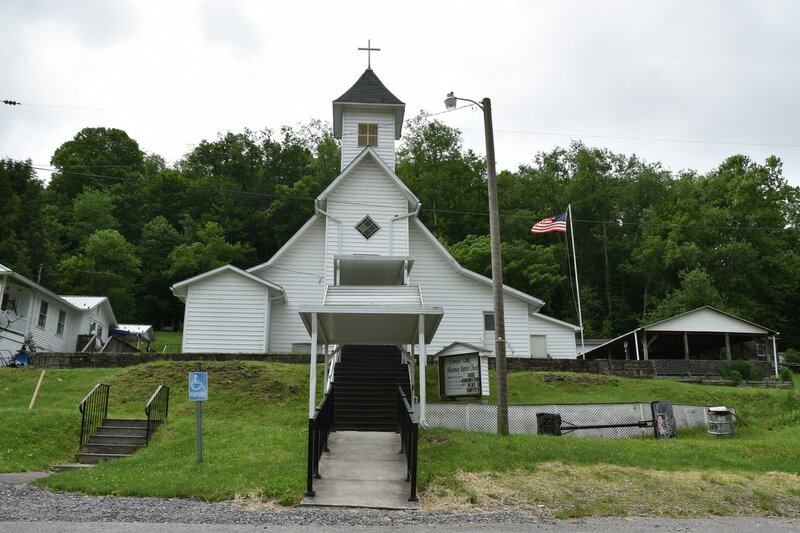 On the way back to the highway I did pass through some Appalachia towns and a small church so the visit wasn't a complete waste. 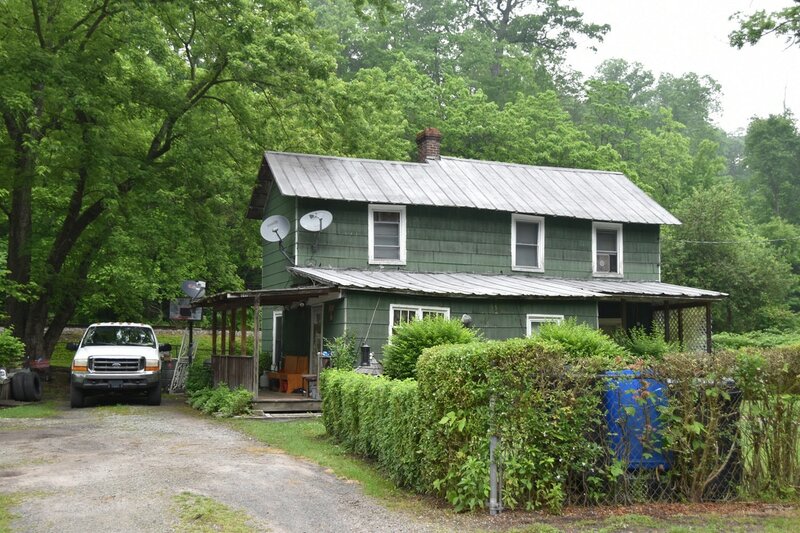 Here's what I missed: Abandoned - Nuttallburg. 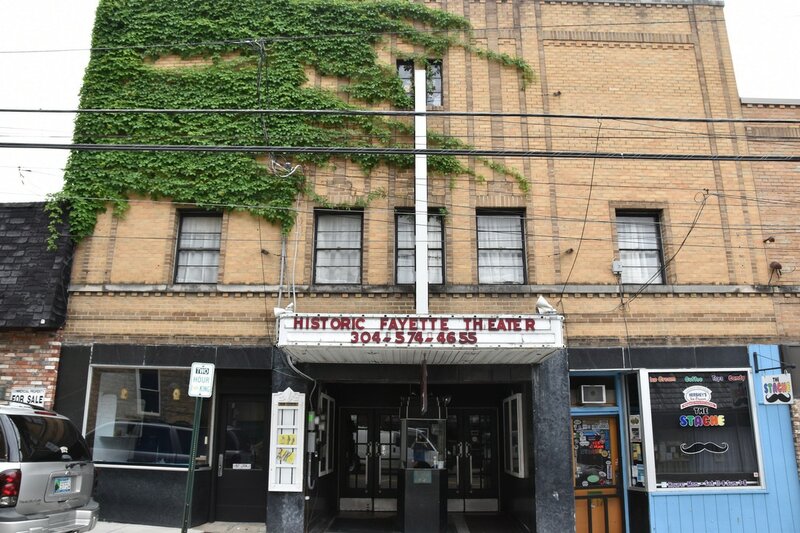 The New River Gorge area is home to some great white water rafting, however, there's not many towns in the area - this is where Fayetteville comes in. When searching for breakfast in the area, there's one place that stands out, The Cathedral Cafe and Book Shop. It's a restaurant inside a former church, pretty cool, until they forget to place your order. Better luck next time. 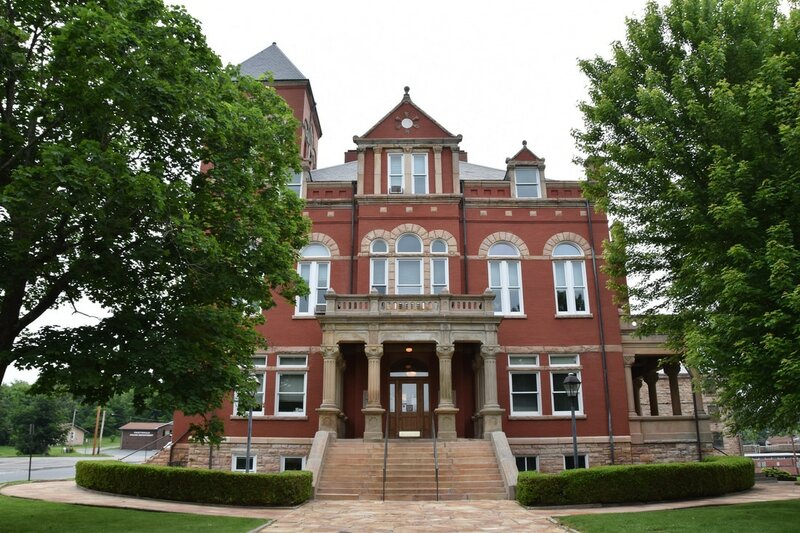 The town is still worth checking out for a great county courthouse and all the accompanying vintage buildings. 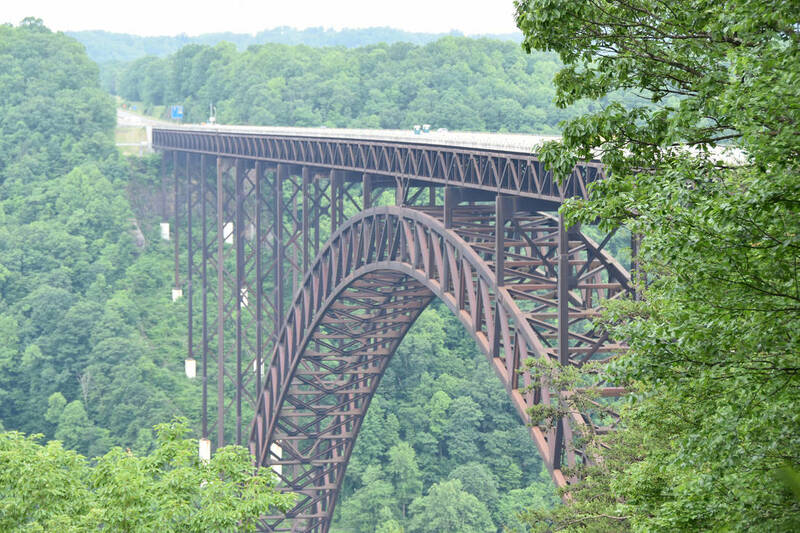 The New River Gorge Bridge has a 1,700 feet wide arch, which when it was completed, was the longest such arch in the world. 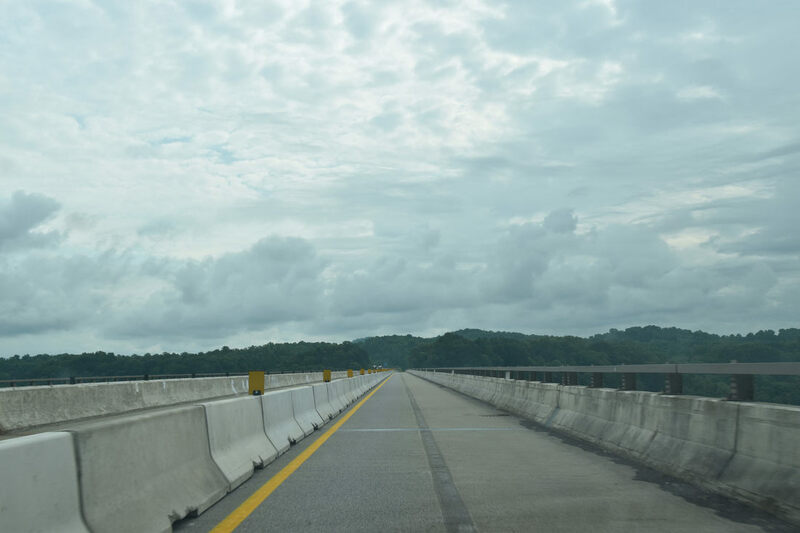 The Bridge cut the drive time between the two sides of the river by an over an hour. There's a park and a lookout on the north side of the Bridge.